For a limited time, get a Pro membership free for life. Please be sure to share this offer & help grow the community. Save $15 mo. / $180 yr.
Get all these great features plus more. As a limited time promotion as part of relaunching a redesigned website platform, you can get all the great features of the Pro Membership level plan plus all the membership benefits we add in the future. 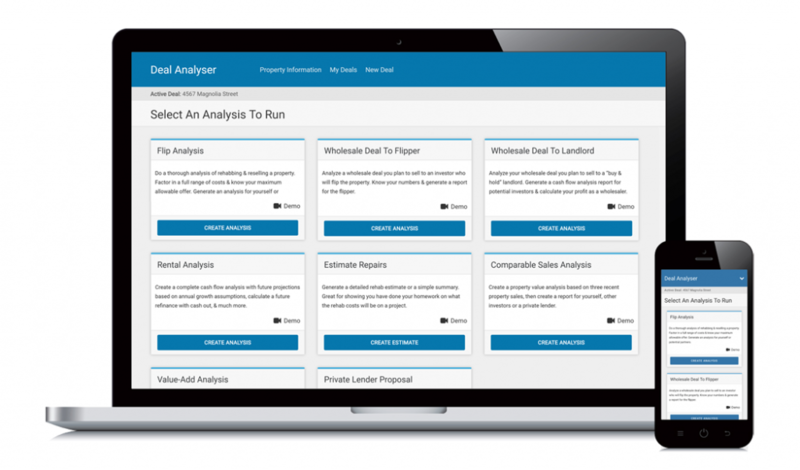 Your Pro membership includes access to all the great features of our exclusive Deal Analyzer software. This means you can run an unlimited amount of analyses, save your final data, create sharable reports and download an unlimited combination of PDF reports. No other website gives you such powerful software and no one includes it for FREE like we do. Don't miss your chance to get this limited time offer you can use for life! Soon, we will never offer this promotion ever again.